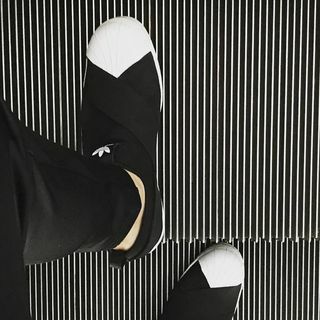 An easy slip-on version of the adidas Superstar trainer. Fame is all about reinvention. 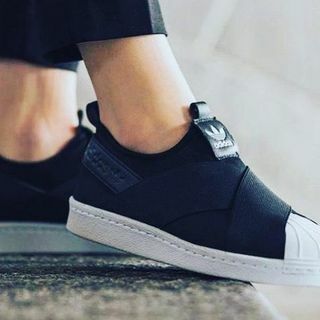 Here, the legendary adidas Superstar trainer is reimagined as a sleek slip-on shoe. 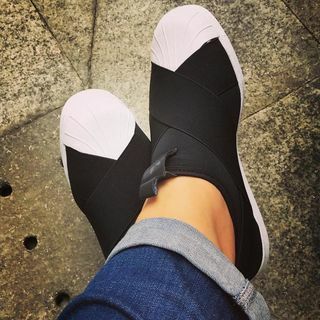 The stretchy elastane upper features wide elastic straps that crisscross the foot for a snug fit and eye-catching style. 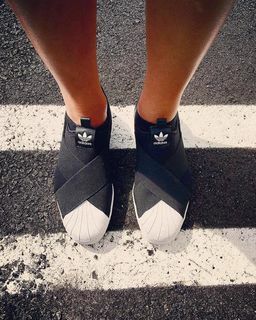 The classic rubber shell toe completes the look.